Are you from Encinitas, Carlsbad, or Rancho Santa Fe, and has the time come for Land Rover (Range Rover) service and repair? Don’t wait until it’s too late, and head on over to the team of auto mechanics at Complete Car Care in Encinitas. As our name indicates, our auto repair shop sincerely cares for you, your passengers, and your Land Rover, or Range Rover. At our family-owned and operated facility, we pride ourselves on being family and kid-friendly. 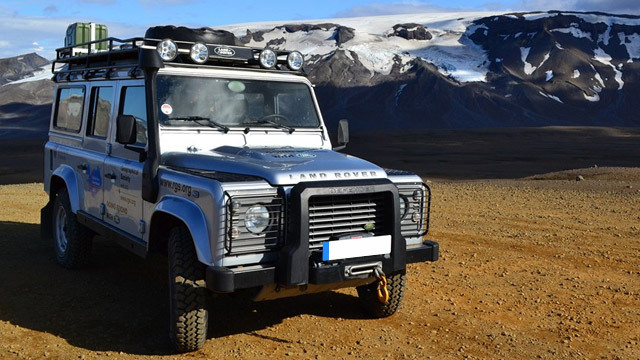 Upon arrival at our auto repair shop, you will be greeted with a warm smile and friendly wave, as our auto mechanics take the keys and get started on servicing your Land Rover (Range Rover). After thorough and accurate auto repair, your Land Rover or Range Rover will be returned to you with a car wash and a 3-year/36,000-mile warranty. While you are driving around Encinitas, Carlsbad, Rancho Santa Fe, and beyond, you can have complete peace of mind. “I have been bringing all of my vehicles to Complete Car Care for about the last 10 years. The reception office is very quick and more importantly, attentive to my personal needs whenever I go in. The service is always professional and if something else needs to be addressed, I am informed of it promptly and then "I" make the decision whether or not to have it done. Great place to have your vehicle serviced. Reasonably priced and never pushed! I give Andy and his crew 5 stars......” -- Brian W.
The next time your Land Rover (Range Rover) needs service, turn to the team of auto mechanics at Complete Car Care in Encinitas. We are the go-to auto repair shop for Carlsbad, Rancho Santa Fe, and Encinitas drivers, as we are directed by a strong moral compass, offer exceptional auto repair backed by a 3-year/36,000-mile warranty, and convenient loaner and shuttle service. What more can you ask for? Schedule an appointment today, or stop by at 318A N El Camino Real, Encinitas, CA 92024.